I am independent consultant, currently working for Mughal steel. I am part of in house team, who is implementing Dynamics Ax in Steel industry. I have round 12 year software development experience. From Last 5 years I working on Microsoft ERP solutions. I have sound knowledge of Functional side as well, But my major focus on BI solution, customization, custom SSRS reports, requirement gathering, UAT testing and finally delivery the code on production server. 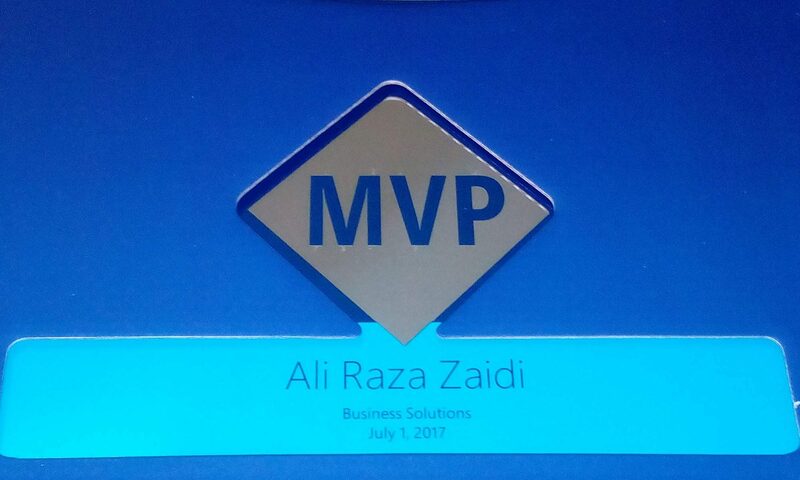 I got first MVP award in 2014. I am also Microsoft Trainer for Dynamics. I also usually conduct training’s for Dynamics Ax and for Power BI.